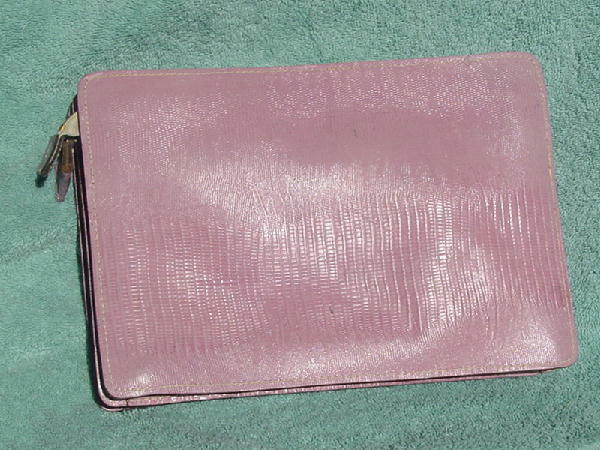 This genuine leather purse is by Reem and was made in the USA. It has two top side to side zippered sections with caramel colored brushed cotton linings. The back section has an interior deep zippered pocket with the logo tag attached. 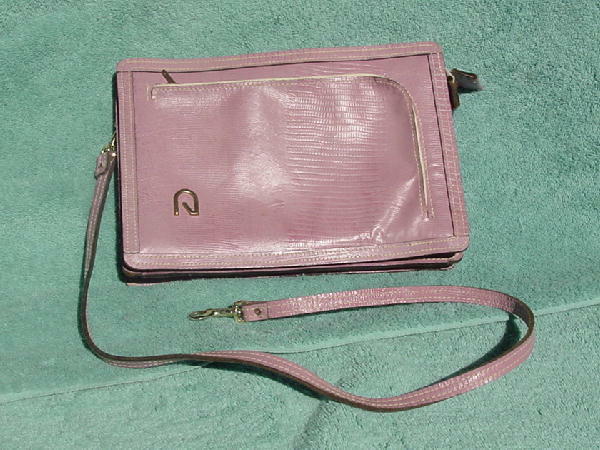 It has a 34" long leather matching shoulder strap which can be detached so you can carry the purse as a clutch. The front panel has a top to right side zippered compartment. The back has a small scuff spot where the color has come off. The exterior has a faux lizard finish in a light grape with a touch of pinkish lavender. There is a tarnished gold-tone ornament on the front. It belonged to a Spanish model who bought it in New York.